Sunny Sky Products is committed to delivering premium products and beverage solutions for our customers. In an effort to support our customers continued growth and reach new markets, we are proud to partner with an extensive lineup of broad-line distributors serving facilities including convenience, foodservice, on-premise, healthcare, education, concessions, and supermarkets. Our global reach has tripled in the last 5 years as we continue to soar to new heights with the products we develop and manufacture as well as building relationships we create, both domestically and internationally. If you need help finding a distributor in your area, please contact our Sunny Sky Products team. Over the years, we have built strong partnerships with a majority of the equipment vendors within the foodservice industry. We work very closely with our preferred vendors as they offer the most technologically advanced equipment in the market and continue to innovate with new product features. 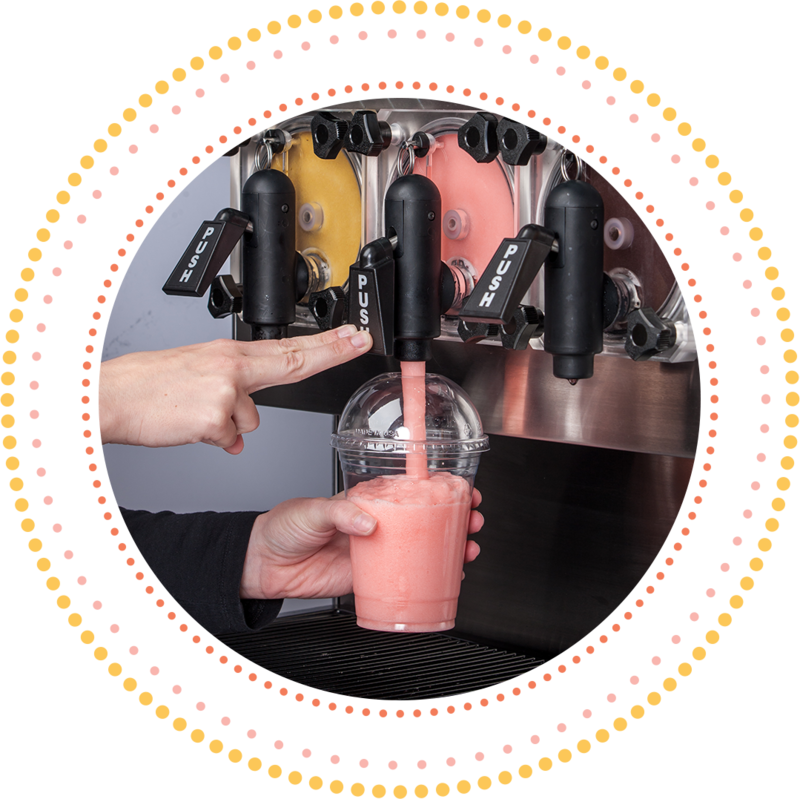 Sunny Sky Products’ beverages are compatible with all mainstream equipment among the main beverage categories – hot dispensed, cold dispensed and frozen dispensed. Take a look at our preferred vendors by clicking the link below to see what equipment best fits your needs. Contact us to learn more about how we can build a customized beverage and equipment proposal for your business. Our company is here to help ensure that your customers have the best beverage experience. Not only do we offer the highest quality of products and innovative flavors but we also offer an extensive selection of merchandising options for your store. One of the best ways to increase sales is through the use of in-store signage and POP. Designed to deliver maximum impact, the graphics created by our marketing team are both bright in color and messaging to increase brand awareness and your sales! Interested in making your beverage program stand out? View our Merchandising Catalog for a full list of promotional tools that we offer.